Not many people have been a part of NGFS as long as Jeff Bills, the Director of Auxiliary Programs. He began at New Garden as a volunteer in 1992, became a part-time staff member in 1995, and has been a full-time staff member since 1998. 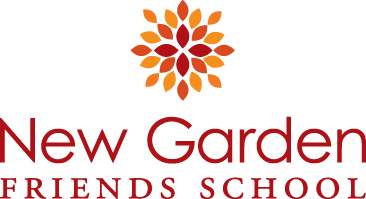 Kim L. Freedman is Head of School at New Garden Friends School. Kim came to NGFS as a parent 16 years ago. She served as the Director of Admissions and Enrollment for three years before becoming Head of School in January 2017. As Tanisha begins her 10th year at NGFS she takes on a new role for the 2017-18 school year as Middle School Dean. She is excited about, "Building a sense of community from a new role as Middle School Dean where I can work in conjunction with staff, students and parents in aiding the school in the holistic development of students in a creative environment." Ashley, the Director of Institutional Advancement, has a simple reason for working at and loving NGFS: “It feels like home.” Previously, Ashley worked as New Garden’s athletic director and advancement assistant, and most recently at Junior Achievement of the Triad as the director of development. She has also worked in event planning, facility management, athletics, and fundraising in the nonprofit sector. Pattie, New Garden’s Director of Information Technology and Enrollment Management, is ready to begin her 21st year as an NGFS staff member. After so many years, she still gets excited each year about meeting new families and staff members. Katie joined the Administrative Leadership Team as Director of Communications in 2016. She enjoys being part of such a welcoming, inclusive school community. Before coming to NGFS, Katie worked in independent schools in the Washington, D.C. area for seven years, beginning first in admissions and later moving into the role of communications. Carolyn joined the administrative leadership team in 2016 as Head of Lower School after teaching in Rainbow as a 1st and 2nd grade teacher since 2000. When Carolyn moved from Southern Maryland to Greensboro to attend Guilford College the triad became her home. Shortly after she began teaching at NGFS, Carolyn knew she would remain at the School for her career.